Criteria (iii) : The villages of Xidi and Hongcun are graphic illustrations of a type of human settlement created during a feudal period and based on a prosperous trading economy. Criteria (iv) : In their buildings and their street patterns, the two villages of southern Anhui reflect the socio-economic structure of a long-lived settled period of Chinese history. Criteria (v) : The traditional non-urban settlements of China, which have to a very large extent disappeared during the past century, are exceptionally well preserved in the villages of Xidi and Hongcun. Xidi and Hongcun preserve an abundant tangible and intangible cultural heritage. The current 730 hectare area (Xidi property area and buffer zone: 400 hectares, Hongcun property area and buffer zone: 330 hectares), contains an integrated ecological landscape and unique collection of village alleyways, buildings, waterways dating from the 14th century; the area also serves as a record of “Xidi and Hongcun” art, cuisine, medicine, painting and other elements of intangible cultural heritage, preserving and passing on the site’s spirit and culture. Xidi and Hongcun experienced a thousand years of continuous transformation and development, all the while authentically preserving their character as traditional Chinese villages with commercial economies and clan-based social structures. The villages faithfully preserve elements that are typical of traditional pre-modern villages, including the surrounding environment, manmade waterways, the villages’ layout, architectural style, decorative arts, construction methods and materials, traditional technology and the overall appearance of the villages; additionally, the site preserves regional art, customs, cuisine, and other forms of cultural and traditional ways of life. Xidi and Hongcun are, without a doubt, ideal sites for contemporary society to seek its history, and to research traditional village culture. “Xidi and Hongcun” are State Priority Protected Sites, National Famous Historic and Cultural Villages. They are protected by laws including the Law of the People’s Republic of China on the Protection of Cultural Relics, the Urban and Rural Planning Law of the People’s Republic of China, the Regulations on the Protection of Historic and Cultural Towns and Villages, the Regulations on the Protection of Ancient Dwellings in Southern Anhui Province, the Management Measures of World Cultural Heritage as well as other relevant laws and regulations. Additionally, the heritage site has formulated many normative protection documents including the Management Measures for the Conservation of Xidi and Hongcun Villages, and has revised and implemented a series of special plans including the Conservation Plan for Xidi and Hongcun Villages, strengthening the monitoring and management of the heritage site and its surrounding area. 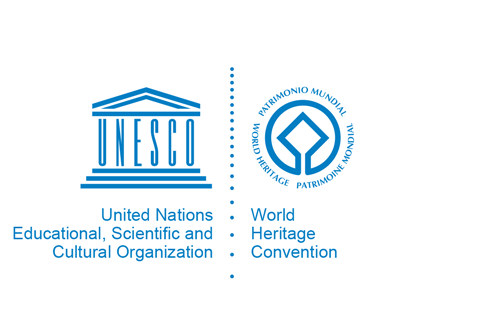 The site has also established a Conservation and Management Committee, which oversees and co-ordinates the World Heritage Management Office and other dedicated management and conservation bodies, as well as creating a professional conservation team. These measures have all provided legal and administrative conservation for the authenticity and integrity of Xidi and Hongcun. Long term plans for Xidi and Hongcun are based on the understanding that by preserving the overall spatial pattern and appearance of Xidi and Hongcun; preserving the composition of the cultural heritage property, including the village area, borders, nodes, landmark, street layout, buildings, waterways, traditional gardens, mountain and river scenic spots, and its rural landscape; maintaining the continuation and vivacity of the villages’ way of life, the long-term preservation of the cultural heritage site’s authenticity and integrity can be achieved. Further undertakings should be conducted, including uncovering the historic and cultural resources of the site, systematically preserving the site’s non-material setting; improving infrastructure and capabilities for communication and presentation; strengthening safety and ecological support systems; improving the quality of the environment, and promoting the harmonious and friendly development of the site’s economy, society, population, resources, and development. The management body will strictly enforce the property’s regulations for conservation and management; effectively control the capacity of the site and development activities; curb and mitigate the negative effects of development on the property; plan and coordinate the requirements of various stakeholders; construct new residences for village inhabitants outside the heritage areas and buffer zones; as well as rationally and effectively maintain the balance between measures for conservation and tourism and urban development.